I was blessed to receive this book from Bethany House for a candid, honest book review. 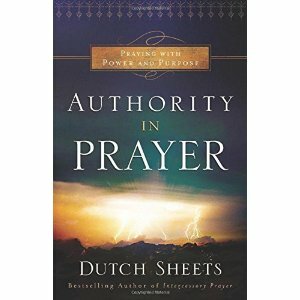 “Authority In Prayer” is truly a powerful book for the deep thinker who wants to understand the God given authority we have over our world and how to use it. Mr. Sheets asks the question, “Who is ruling your world?” Unfortunately we battle the Devil for control in our daily lives. Understanding our authority in Christ is key to winning the battle. The book is full of encouraging stories highlighting God’s movement in numerous situations, after God’s people stepped up in authority and prayed. Using that God given authority in our personal lives is only part of our mission. God intends for Christians to use their authority and influence, to influence our nation. A must read!